The Issue: Millions of Americans have criminal records, even if they have never been found guilty of a crime. Having a criminal history — whether extensive or minor — can have serious repercussions, oftentimes limiting a person’s options in areas such as employment, housing and education. As it has become easier and less expensive for the public to access criminal justice records, it has become harder for individuals to overcome the stigma associated with being arrested. An academic study worth reading: “Indefinite Punishment and the Criminal Record: Stigma Reports among Expungement-Seekers in Illinois,” published in Criminology, 2016. Study summary: This study from Simone Ispa-Landa of Northwestern University and Charles E. Loeffler of the University of Pennsylvania explores two issues: first, the evolution of the availability of criminal records over the decades; and second, how individuals with extensive criminal records were impacted compared to those with minor criminal records. The study looks at whether both groups have faced disadvantages in terms of employment, housing and higher education. For the study, Ispa-Landa and Loeffler interviewed 53 men and women living in Chicago and the surrounding area who had sought to have their criminal backgrounds expunged during the summer of 2012. About half (46 percent) of the study’s participants had extensive conviction histories while the other half (54 percent) had minor arrest histories. One out of three American adults has been involved with the criminal justice system and has a record, even if they were not found guilty of any crime. Those with criminal records can no longer easily conceal their contact with the justice system due to the ease and immediacy of internet searches. Since the 1990s, criminal justice agencies have been posting their databases online. Private companies purchase and aggregate the databases and then sell them at low-cost to employers, landlords and others. Therefore, the decentralized release of this personal background information exacerbates the challenge of trying to remove out-of-date or inaccurate information that could potentially impact an individual’s upward mobility. Almost half — 49 percent — of black males are arrested by age 23, compared with 38 percent of white males. Black males with criminal backgrounds are judged more harshly by employers than their white counterparts. Most states — 45 of them — and the District of Columbia allow criminal records to be expunged or sealed, although some states have more restrictions than others. The U.S. Equal Employment Opportunity Commission (EEOC) provides detailed information about background checks and what they mean for job applicants and employees. 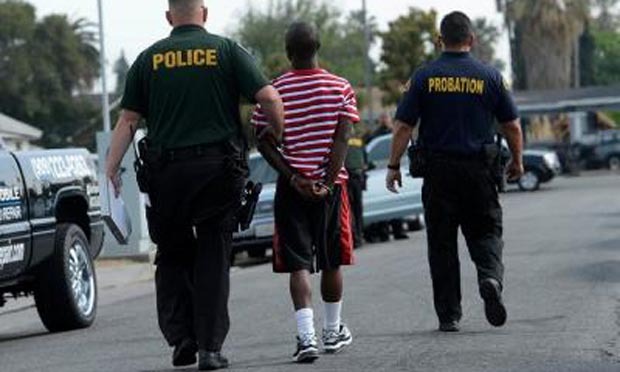 The U.S. Bureau of Justice Statistics offers a searchable national database of arrest data. The National Center for Juvenile Justice offers a searchable national database of juvenile and adult arrest statistics dating from 1994 to 2012. A 2012 report from the Society for Human Resource Management suggests that a majority of employers conduct criminal background checks on all job candidates. The National Employment Law Project is an advocacy organization that supports changing hiring policies to benefit individuals with criminal backgrounds. A number of other national and state-level organizations, including the Minnesota Second Chance Coalition, are pushing for such a change. The Ban the Box campaign aims to have employment applications altered so job-seekers do not have to check a box indicating they have been convicted of a crime. A 2009 study published in the Annals of the American Academy of Political and Social Science, “Sequencing Disadvantage: Barriers to Employment Facing Young Black and White Men with Criminal Records,” indicates that it is more difficult for black ex-offenders to secure job interviews and jobs than white ex-offenders. Citation: Ispa-Landa, Simone; Loeffler, Charles E. “Indefinite Punishment and the Criminal Record: Stigma Reports among Expungement-Seekers in Illinois,” Criminology, June 2016. doi: 10.1111/1745-9125.12108.